I am a property manager in Little Rock, AR. I am 28 years old and spend my time writing, volunteering and following true crime. Fall is here! My favorite time of the year. I love watching the leaves change colors, going to football games, and hiking. Thanksgiving is by far my favorite holiday. I love spending time with my family and stuffing my face with mashed potatoes and gravy and pumpkin pie. 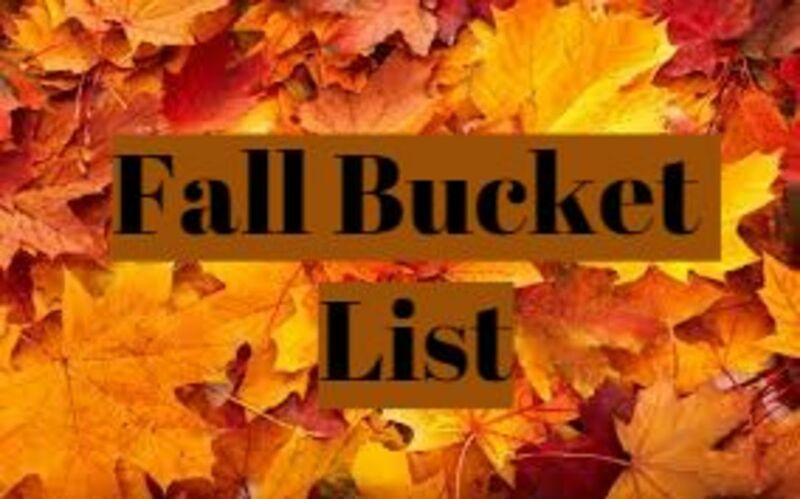 This article is a list of great ideas to help you have the best fall ever. Easily excitable Neal Page (Steve Martin) is somewhat of a control freak. Trying to get home to Chicago to spend Thanksgiving with his wife (Laila Robins) and kids, his flight is rerouted to a distant city in Kansas because of a freak snowstorm, and his sanity begins to fray. Worse yet, he is forced to bunk up with talkative Del Griffith (John Candy), whom he finds extremely annoying. Together they must overcome the insanity of holiday travel to reach their intended destination. Peppermint Patty invites herself and her friends over to Charlie Brown's for Thanksgiving, and with Linus, Snoopy, and Woodstock, he attempts to throw together a Thanksgiving dinner. When her teenage daughter opts out of Thanksgiving, single mother Claudia Larson (Holly Hunter) travels alone to her childhood home for an explosive holiday dinner with her dysfunctional family. Claudia quickly tires of her parents, her long-suffering sister (Cynthia Stevenson), her snobby brother-in-law (Steve Guttenberg) and her nutty aunt (Geraldine Chaplin). But the evening gets interesting when sparks fly between Claudia and her brother's handsome friend Leo Fish (Dylan McDermott). An ambitious attorney (Daphne Zuniga) awakes in an alternate reality as a wife and mother of two. The members of the odd Addams Family are up to more macabre antics in this sequel. This time around, Gomez Addams (Raul Julia) and his wife, Morticia (Anjelica Huston), are celebrating the arrival of a baby boy. But siblings Wednesday (Christina Ricci) and Pugsley (Jimmy Workman) are none too happy about the new addition, and try their best to eliminate the infant. When nanny Debbie Jelinsky (Joan Cusack) appears to keep the kids in line, her presence leads to an unexpected treacherous twist. In this Christmas classic, an old man going by the name of Kris Kringle (Edmund Gwenn) fills in for an intoxicated Santa in Macy's annual Thanksgiving Day parade. Kringle proves to be such a hit that he is soon appearing regularly at the chain's main store in midtown Manhattan. When Kringle surprises customers and employees alike by claiming that he really is Santa Claus, it leads to a court case to determine his mental health and, more importantly, his authenticity. 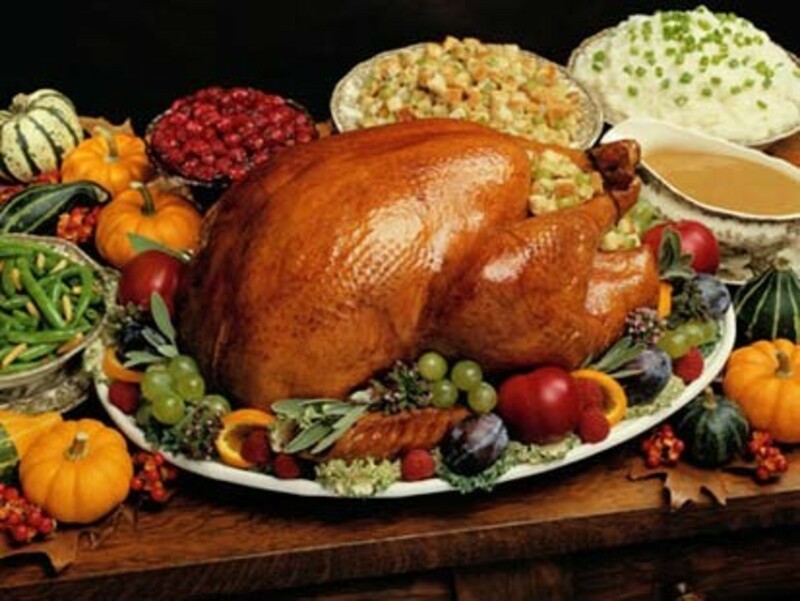 What is your favorite food to eat at Thanksgiving? 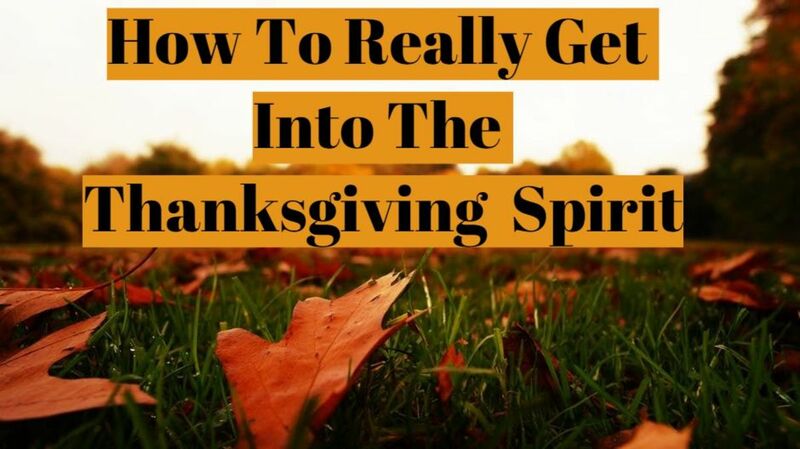 This is by far my favorite Thanksgiving recipe. 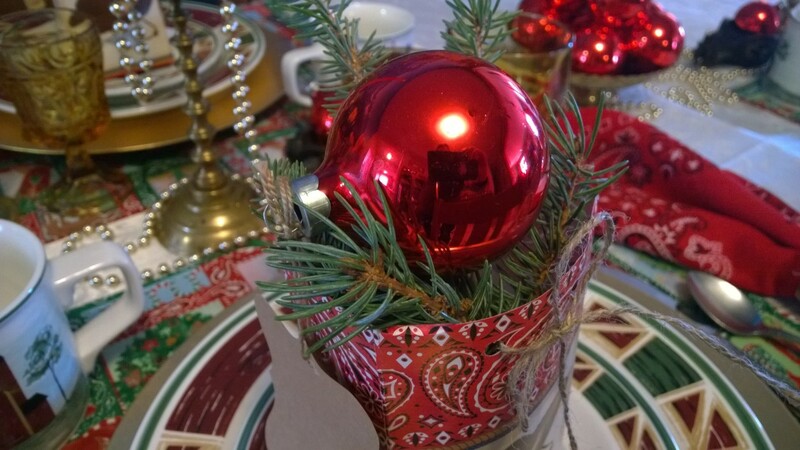 We make this every year and it's a hit with the whole family! Preheat oven to 400 degrees F. Grease a 9x13-inch baking dish with cooking spray. In a large pot of salted boiling water, cook green beans for 5 to 7 minutes. Drain water. 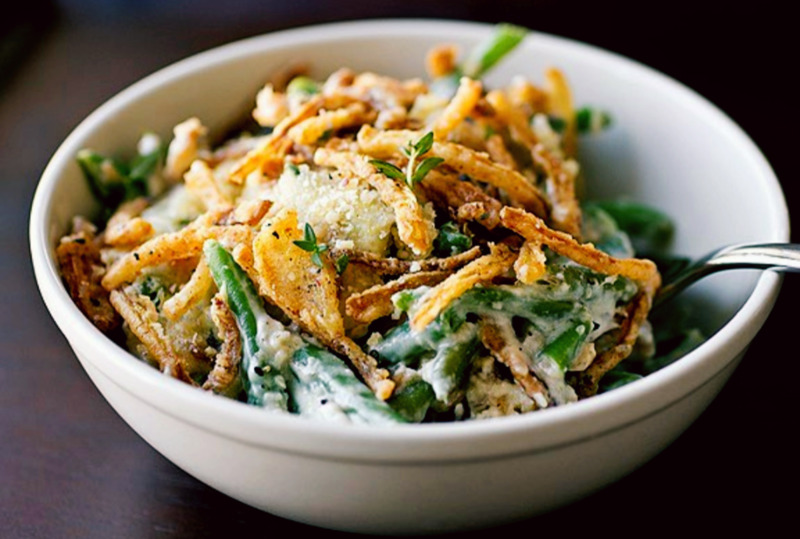 Pour cooked green beans in the prepared dish in an even layer. In a medium saucepan, over medium heat, melt butter. Once melted add garlic and stir for 30 seconds. Whisk in flour until smooth. 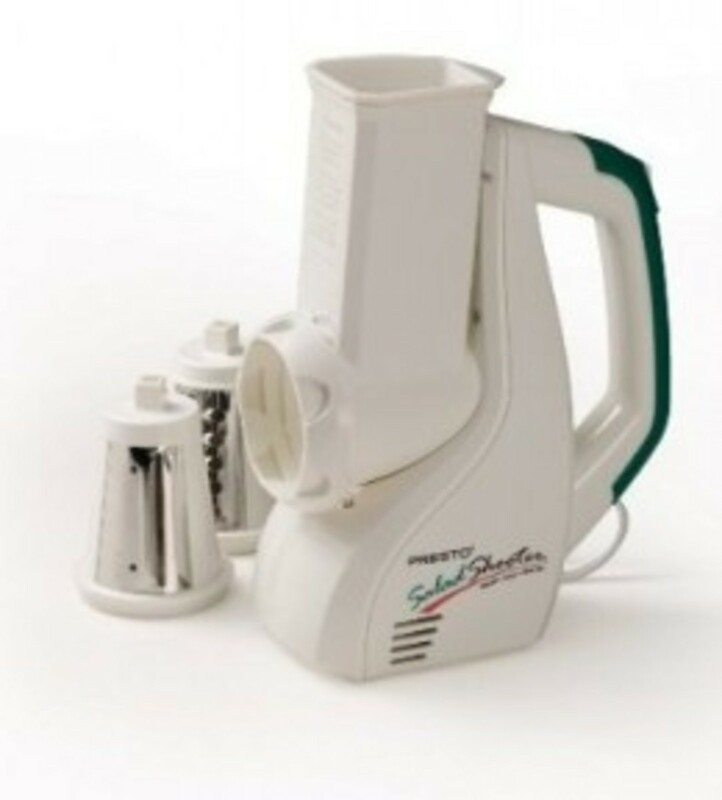 Cook for 1 minute while constantly stirring. Pour in chicken broth. Stir and cook for 3 minutes. Next, pour in half-and-half or whole milk. Decrease heat to low and continue to stir and cook until sauce thickens. About 10 minutes. Season sauce with salt and pepper. Pour sauce evenly over the green beans in dish. Sprinkle the fried onions on top. Remove from oven and let rest 5 minutes or so before serving. Enjoy! Spoil yourself with this unique take on hot chocolate. Everyone in your family will love this but especially your kids! In a slow cooker combine candy corn, half and half, heavy whipping cream, white chocolate chips and stir. Heat on low for 2 hours until everything is melted, then stir. Heat another 1-2 hours on low and serve. Garnish with your favorite whipped cream, ghost Peeps, or Halloween-themed sprinkles. This is a recipe that my best friend does every year. I have not tried it yet but it is on my list for this year! Add sliced sweet potatoes to a slow cooker. In a bowl, combine the sugar and spice and sprinkle over potatoes. Toss to coat. Cover and cook until tender, about 4-6 hours on low, or 2-3 hours on high. Cut petite potatoes into quarters. 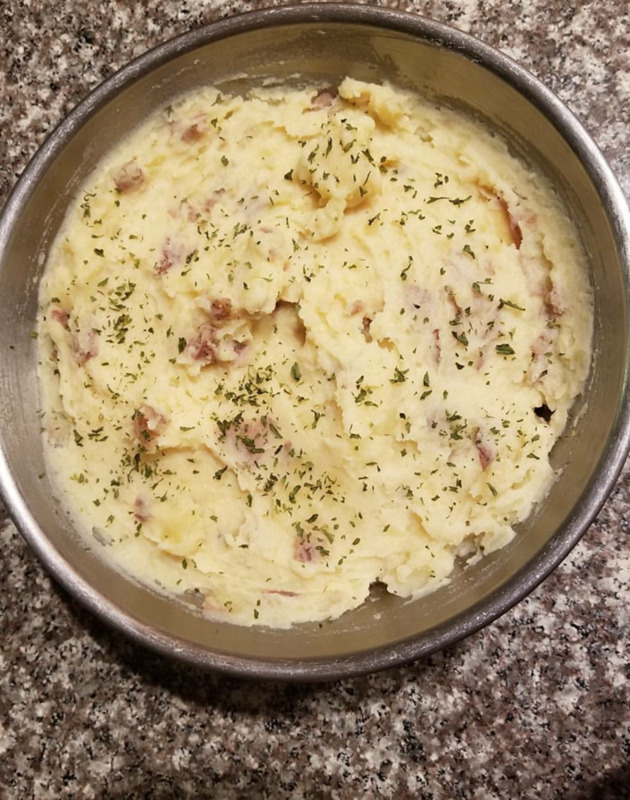 In a deep pot, boil the quartered potatoes in salted water until you can easily slide a fork into them - about 12-15 minutes. Pour water and potatoes into a colander, discarding all water. Transfer potatoes back into the same pot they were boiled in. Immediately add minced garlic, and using a potato masher, mash the potatoes into the garlic. Mash in butter, then mash in cream. Switch to a large spoon, and stir in seasonings, parmsean, and sour cream. If you want the potatoes to have a creamier consistency, simply add more cream (or milk). Serve hot! Garnish with finely chopped chives for a beautiful presentation. Also top with a small slab of butter. 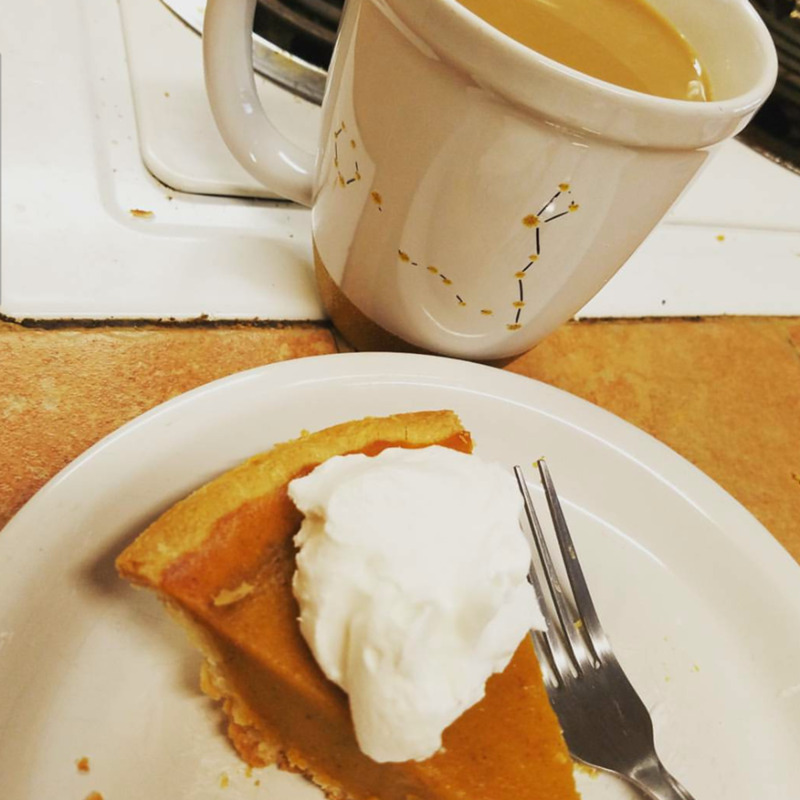 Can you have Thanksgiving without Pumpkin Pie? Definitely not! It is a holiday staple. 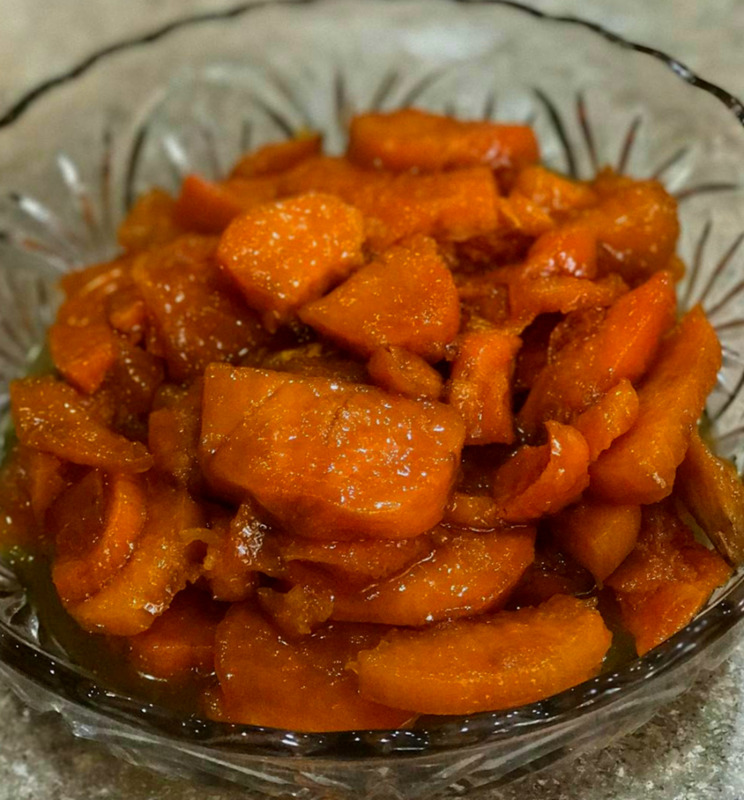 Try this recipe and you'll be sure to impress all your friends and family this holiday. 1 store-bought or homemade pie crust. Prepare the pie crust by rolling the dough out to 12-inches in diameter. Next, carefully transfer the dough to a 9-inch pie plate (make sure it's at least 1 and ½ inches deep), gently fit it into the pie plate, trim any excess dough, and flute the edges. Line the pie dough with parchment paper or foil, making sure to cover the bottom and fit it snuggly in the corners and up the sides, then fill with pie weights (dried beans or dry rice work well too). Bake the pie crust at 400°F for 12-15 minutes. Remove from the oven and remove the parchment paper (or foil) and pie weights. Return the pie crust to the oven and bake for an additional 5 minutes. Remove from the oven and set aside to cool. In a large mixing bowl, whisk together the brown sugar, flour, salt, cinnamon, ginger, nutmeg, and cloves until well combined. In a separate mixing bowl, whisk together the eggs, pumpkin puree and evaporated milk until well combined. Pour the wet ingredients into the dry ingredients and mix together until fully combined. Pour the pumpkin pie filling into the partially baked pie crust. Return to the oven and bake at 400°F for 45-50 minutes, or until the center is almost set (it should be a little wobbly). Remove from the oven and transfer to a wire rack for 2-3 hours to cool completely. Cover tightly and refrigerate for several hours or overnight. Go to a football game. Spend time with extended family. Eat or drunk pumpkin spice flavored things. Go to a Black Friday sale. Donate to a food drive. Look at old family photos. Write a list of what you're thankful for. Go to a pumpkin patch. Take a long scenic drive with the windows down. 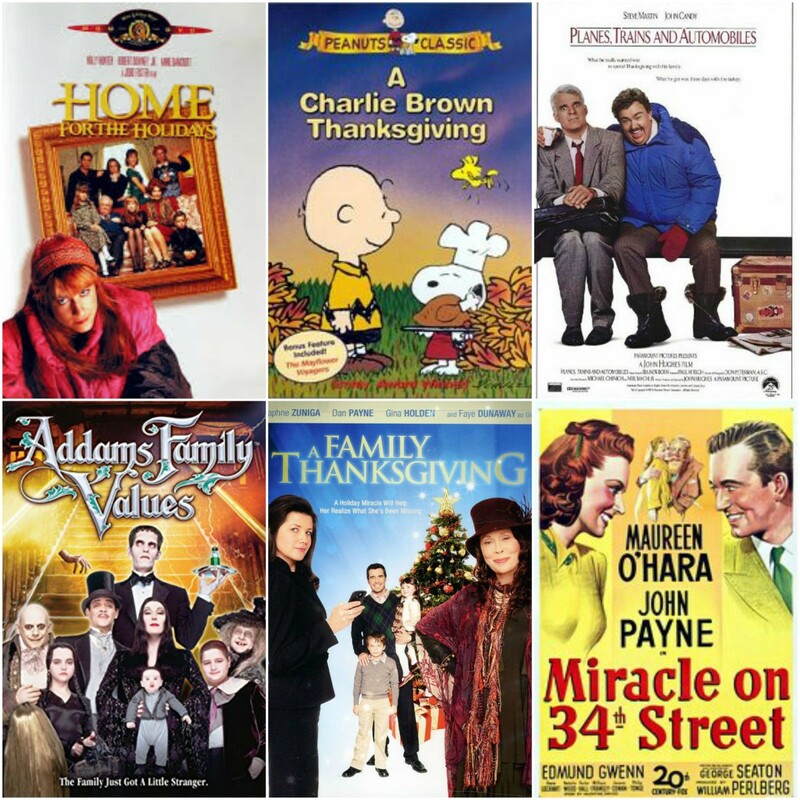 Watch Thanksgiving episodes of your favorite shows. Attend boo at the zoo. 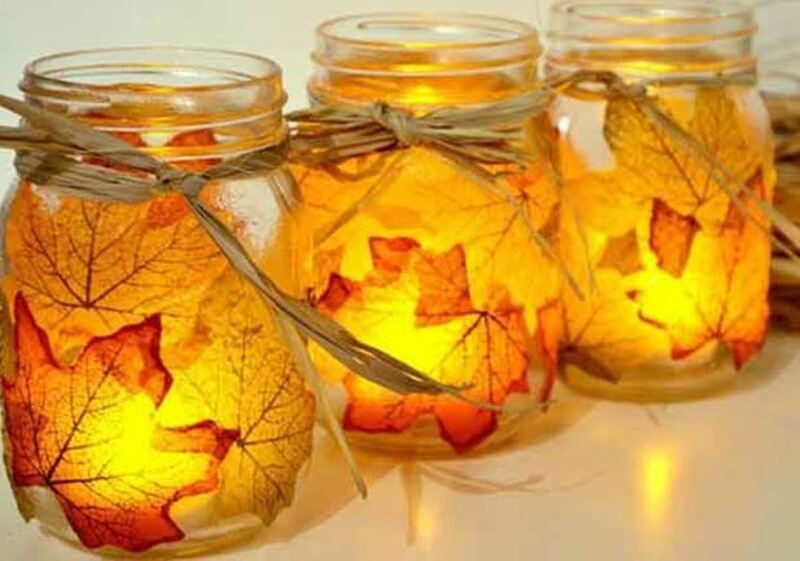 These leaf candle holder jars will add a cute touch to your home for Thanksgiving!. 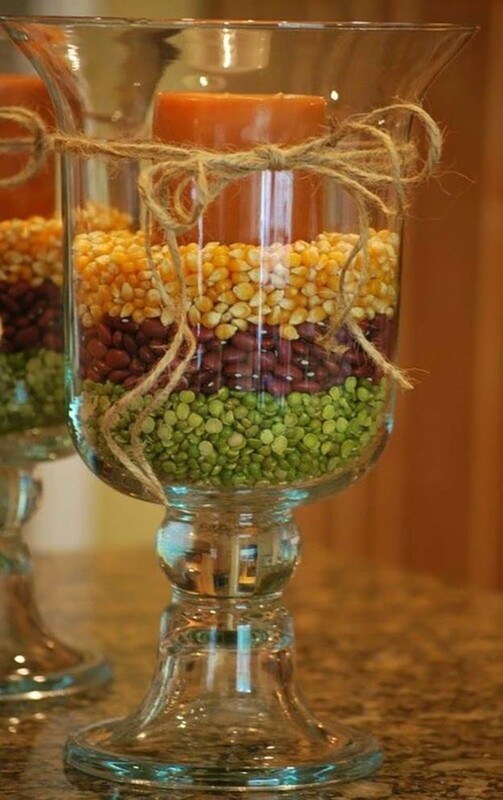 All you will need is a mason jar, leaves, glue and some string. 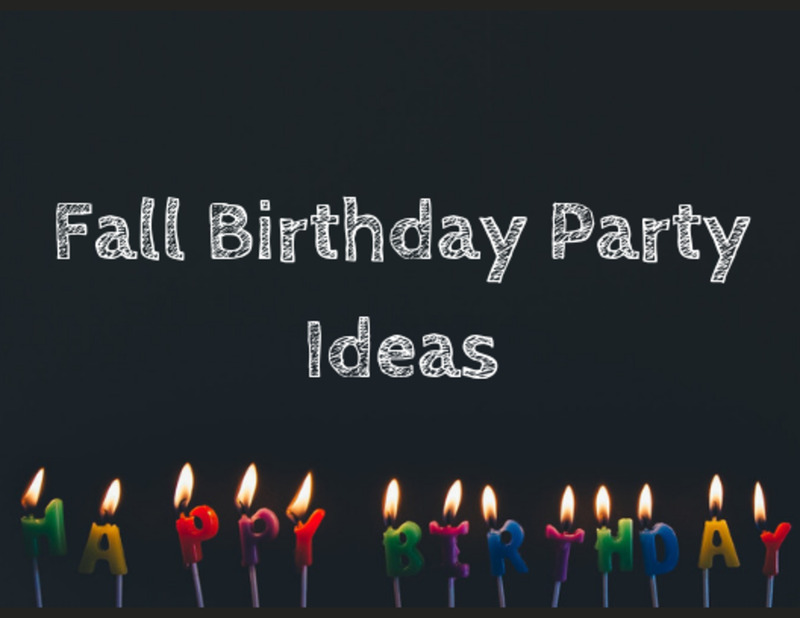 All could be bought at your local dollar store! 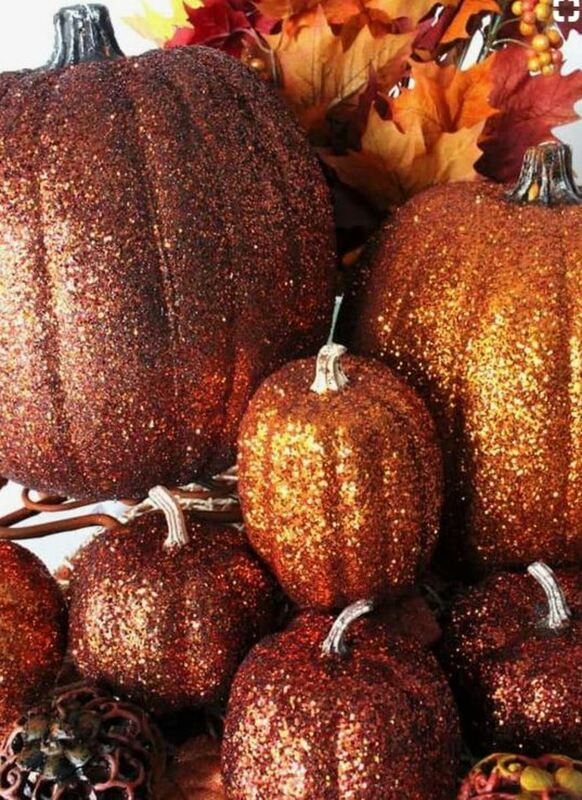 These sparkle pumpkins will add some fun to your home. These are made with real pumpkins but if you want them to last longer, use plastic pumpkins, dip them in glue and roll them in your favorite glitter. All you need for this craft is some cinnamon sticks, hot glue and some string. 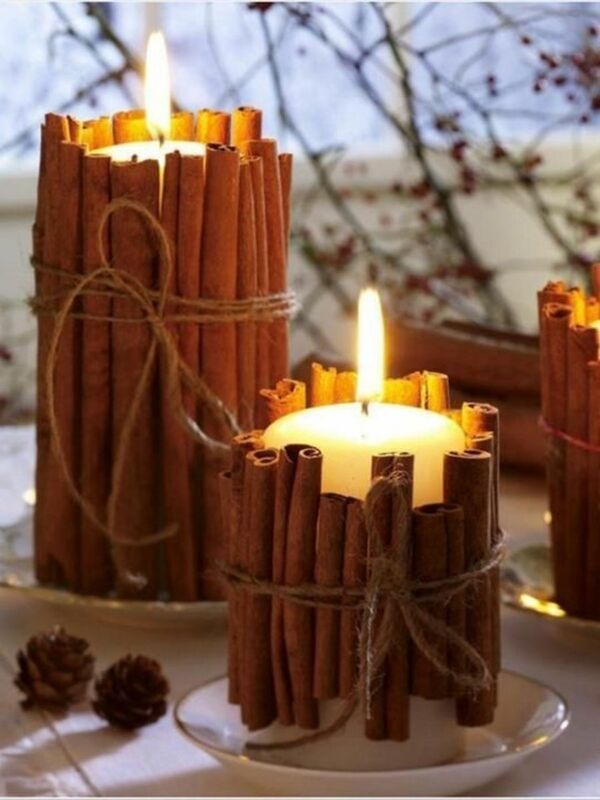 Just attach the cinnamon to the candle and your house will smell amazing! 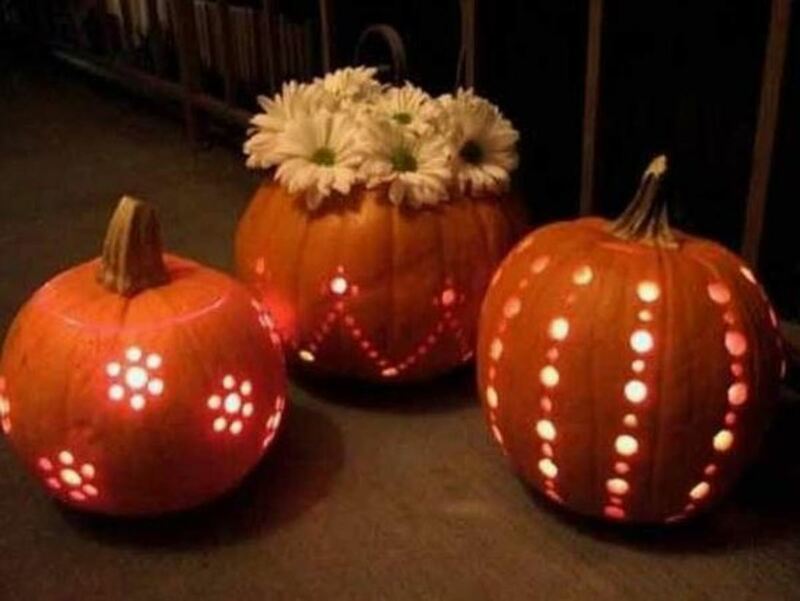 All you need to make your pumpkins stand out like these is a drill! Just get different sized drill bits to make different sized shapes. Simple enough! 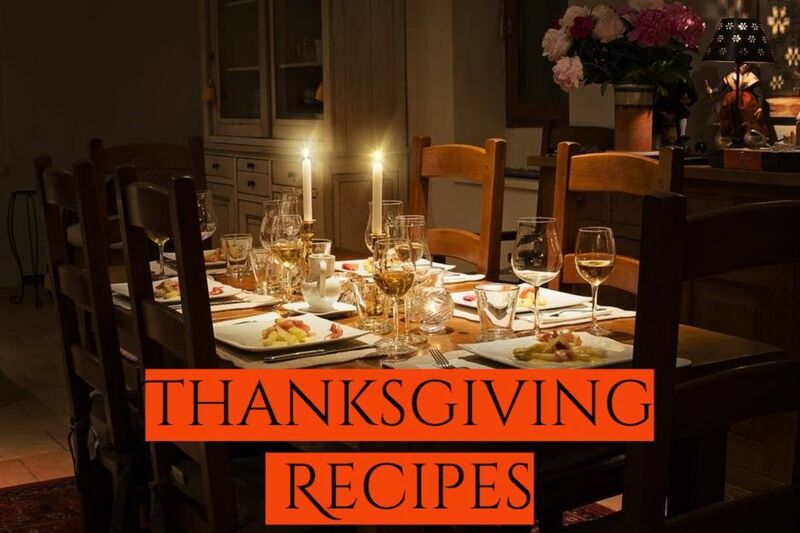 What Thanksgiving ideas did you find most helpful? 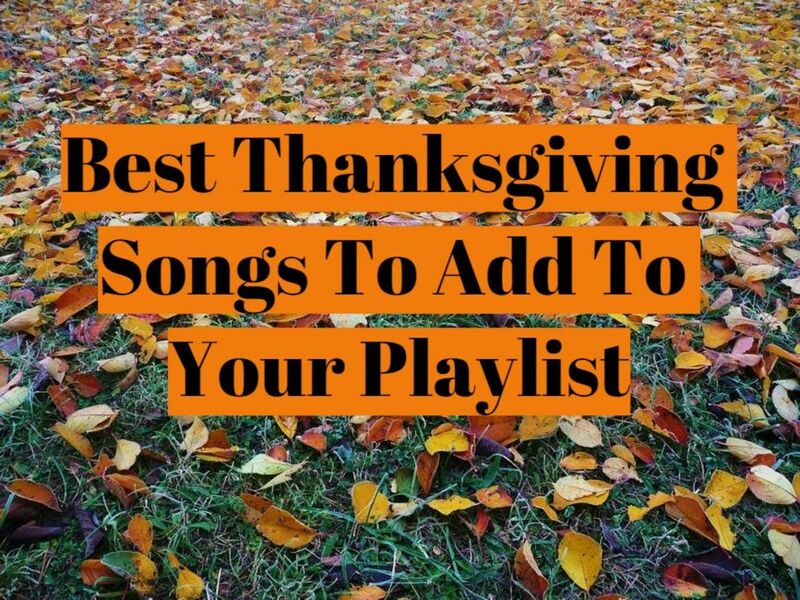 I hope that these ideas will put you into the Thanksgiving spirit but most importantly, remember to be thankful for your many blessings.